From Nice, take the RN 202 heading for Digne, and then the D 28 at Touet-sur-Var, via Cians Gorge, until you get to Beuil and Valberg. Daily coach to Nice (86 km). 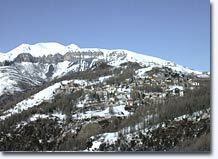 Just one hour from the Mediterranean coast, Valberg is one of the largest ski resorts in the Southern Alps, there are more than 60 alpine "pistes" with 26 ski lifts and around 30 km of cross country ski routes! 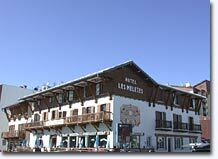 This ski resort founded in the late thirties was previously merely a high mountain pasture. Its name originates from “Valloun de Bergians”, meaning valley of the shepherds. 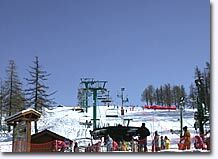 Valberg is very busy in both winter and summer. 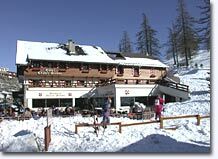 It's a smart family-oriented resort where you'll breathe the purest of airs while relaxing in the sunshine - there are ski runs, but also plenty of cafe terraces! 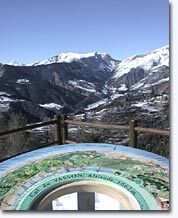 Those who prefer peace and quiet will choose the west-facing slopes, where a marvellous cirque of mountains is to be admired from the picnic area at Col du Vasson, on the road to the blessed “Guillaumes Country” ! 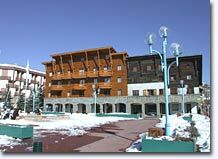 As soon as the thaw begins, Valberg transforms itself into a vast nature activity center. Summer: Mountain biking, horse-riding, hiking (40 waymarked routes for every level). Swimming pool, Tennis, pony club, summer sledge slope, Archery, trampoline, Climbing, rafting, canyoning, Caving, Pot holing. Bungee jumping, Abseiling. Beuil (6km), Peone (9km), Guillaumes (14km).